Sani-Matic offers SaniClean strainers, which are a direct replacement for a Tri-Clover® style strainer. 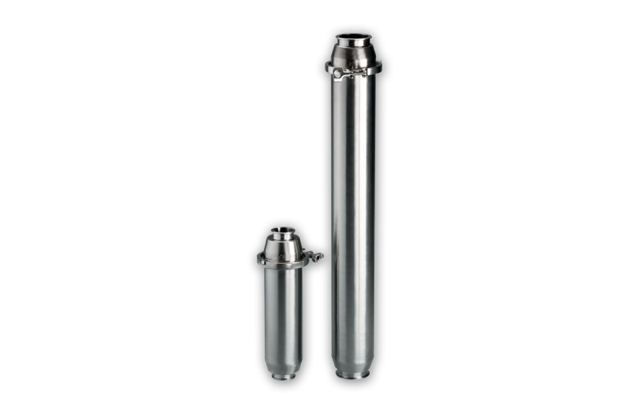 Constructed with 316L stainless steel, this is a high-quality alternative for your in-line strainer needs. Sani-Matic also offers SaniClean perforated cores and wire mesh overscreens. The overscreens have longitudinal seams to fit over the heavy gauge perforated cores to ensure a consistent diameter for the full length of the cylinder. Hemmed seams are tacked in place to provide a finished smooth edge.